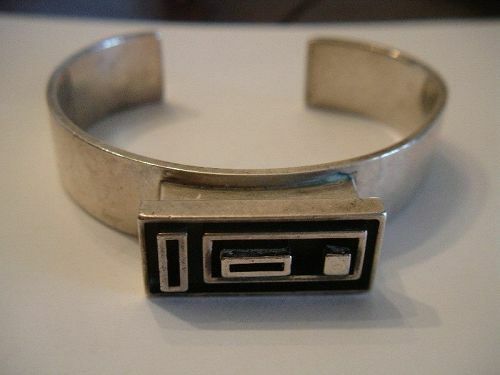 Fabulous Vintage 1970s Sven Haugaard Denmark Sterling Silver Modernist Cuff Bracelet. It is heavy weighing appx 53.9 grams. Measures appx 5/8 inch wide and 2 3/8 inner diameter with a 1 1/8 inch gap. Hallmarked Sv. H. Denmark Sterling.